We all know that cakes, dresses, and flowers can be showstoppers for a beautiful wedding, but let’s not forget about the linens. I know what you’re thinking. “Linens? Really? !” Typically, linens are an afterthought or a low priority. But what if we shared a secret that can transform your wedding design from “we’ve seen that before” to a big “WOW!” from your guests? Textured linens are tablecloths with patterns woven into the fabric. Some have a mix of matte and shine for some dimension, while others use multiple colors and patterns for a pop. 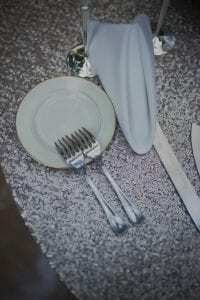 If you are looking for a luxurious and unique table setting, textured linens add a little detail that make a big difference. While traditional, solid colored linens can help keep a look simple and chic, textured linens can really elevate your table settings. To get your inspired we thought we would share some of our favorite local linen vendors! This amazing online company is always a top choice. They have an endless selection of amazing linens to choose from. you simply fill your cart and order. The linens are deliver right to you fully pressed and ready to go. Then you return them in the included duffles after the wedding by coordinating with UPS. It is that simple and really amazing! Look at these amazing linens our bride Kendall used at her Founders Hall wedding! 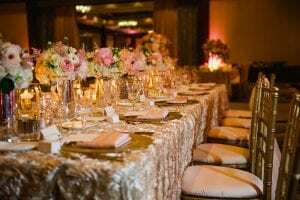 Party Reflections is one of our favorite linen rental companies! Their linen gallery has more options than you could ask for and they always deliver their linens in excellent condition. We especially love their textured Antique Rose linens. CE is another local rental company that unique linens sure to give a dazzling look to your tables. Check out these copper sequins linens that are sure to make your head table look royal! 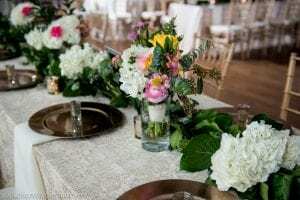 Our bride Meghan used CE rentals for her gorgeous table settings at the Mint Museum Uptown! We love this textured linen trend for the way it makes a big statement! If you need help with design and planning, contact Magnificent Moments today so we can chat!